The legislature negotiated an increase of $25 million to the 2013 cap imposted by Governor Snyder. The current allotment for 2013 is currently $50 million, plus $8 million remaining from 2012. Governor Snyder stated February 17,2013 his intention to cap 2014 at $25 million. * Information Disclaimer: This is a summary of current proposals. 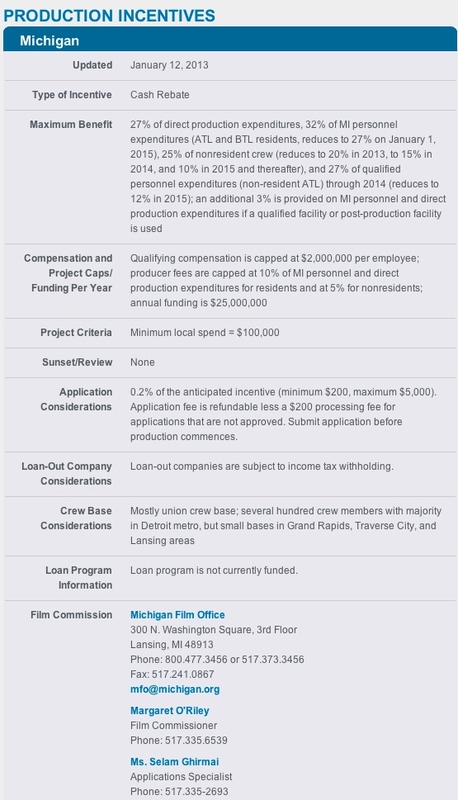 Verify info with the Michigan Film Office.